Join us at the 11th Hands On! 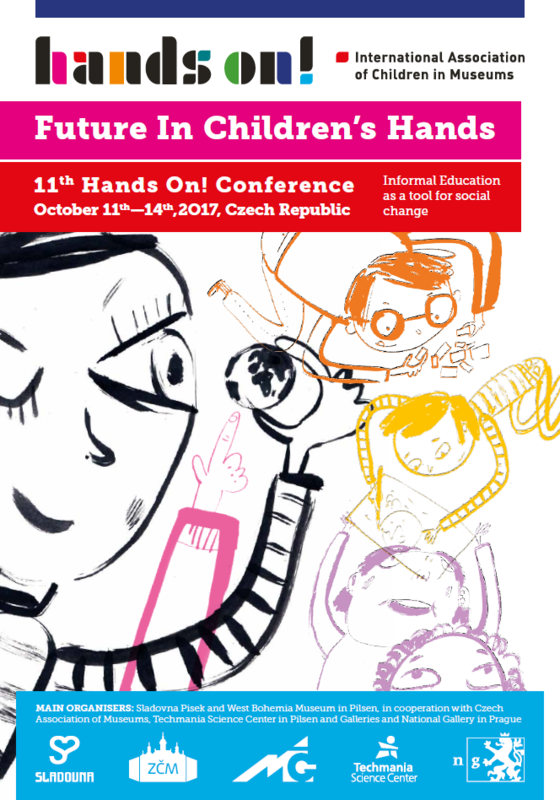 Conference in the Czech Repuiblic from 11-14 of October, 2017! This year we offer you an unique experience on our travelling conference in three beautiful and historical cities: Pilsen, Pisek and Prague! 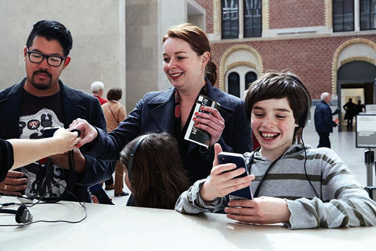 Listen to inspiring speakers, take part in quality workshops and meet interesting museum experts from around the world! The conference is going to examine the influence of technology on humanity and the education of today’s children, discussing ways of implementing technology into the daily children’s museums work. 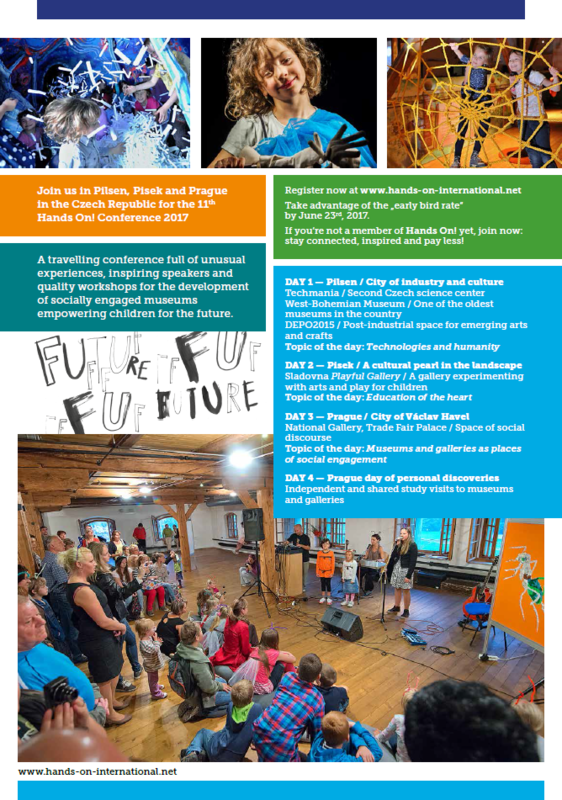 In addition, a strong focus is going to be on “children as heroes of the future”, looking at ways of how story telling and the promotion of creativity can help children develop ethic values and inner qualities such as empathy, courage and notion of justice.